We put our heart in your smile. Our caring team gives you an exceptional experience that will bring you back to our practice again and again. Our goal for you is a happy and healthy smile. Successful treatment for patients requiring complex dental restorations requires a comprehensive evaluation of their existing occlusion (bite). 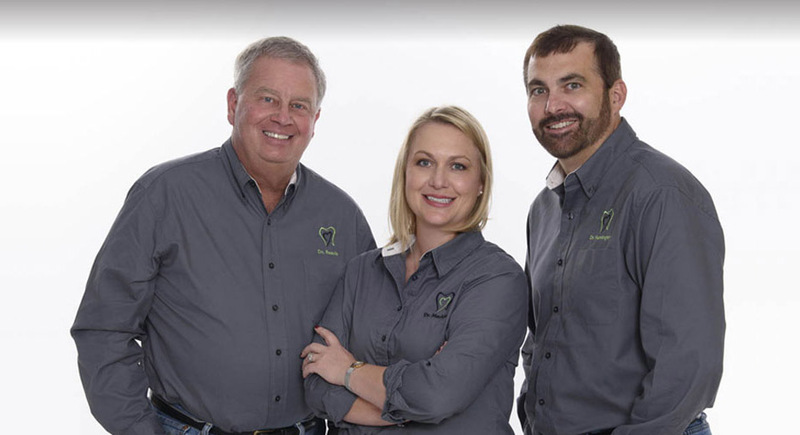 At Atchison Dental Associates we take a systematic and ordered approach ensuring greater control and predictability of the procedures we perform. Learn more about occlusion based dentistry. Between three expert dentists at our practice, we have nearly every detail of your oral health covered. We are proud to offer a very wide range of services, including fillings, crowns, endodontics, extractions, sedation options, implants, TMJ treatment, sleep apnea, and more! We offer each service at the highest standard of quality. Enjoy having your family’s dental needs met at one location, where you can stick with the team you already know and trust for your care.